Add Aluminium Bi-Folding Doors like these to your home. We install Aluminium Bi-Folding Doors across Bournemouth, Southampton, Portsmouth, Salisbury, Fareham, Hedge-End and surrounding areas. Aluminium bi-fold doors enable you to bring a cutting-edge new addition to your home that will create a beautifully seamless connection to your garden or the interior of your home. The designs that we offer have been manufactured using the latest innovations, ensuring they are a worthwhile investment for your home that will work to make you as safe and comfortable as you can be to make your house feel like home. 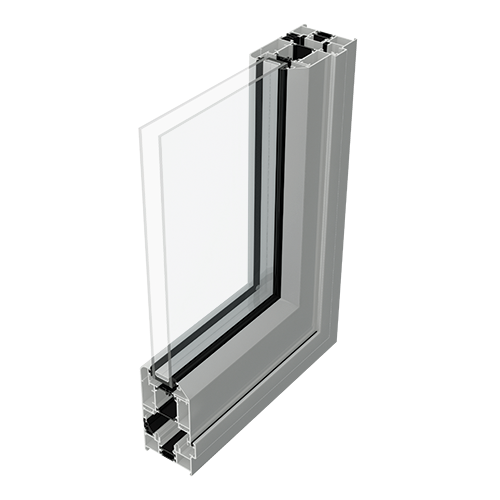 We offer a range of industry-leading designs for you to choose from, all of which stand at the frontier of door performance. With this in mind, you’ll be able to benefit from exceptional standards of thermal efficiency, security, durability, design, performance, weatherproofing, and appearance. You can rest assured that you’ll be bringing the very best to your home, designed to offer you more without compromising on style. To help you bring the ideal new addition to your property, our aluminium bi-fold doors are highly customisable when it comes to how they look and how they are installed. It won’t matter if your home is modern, traditional, period, heritage, or new build, we’ll have something perfect to suit what you’re after. Simply speak to a member of our friendly team to discuss your specifications and we’ll be more than happy to help you create your dream door. All of our aluminium bi-fold doors comprise a thermally broken frame that works to trap in pockets of warm air and increase the effectiveness of your central heating. This means that you’ll be able to bring a slim and sleek design to your home without having to worry about keeping the winter winds at bay. This is made possible by modern innovations that trap in pockets of warm air instead of letting them escape your home. As these doors increase the heat retention of your home, you could find yourself enjoying more benefits than feeling comfortable during the colder winter months. As your home will get warmer and stay warmer for a longer period of time, you could also find yourself saving money on your heating costs too! This is made possible by lowering your reliance on your heating to keep you comfortable and therefore enabling you to enjoy a potentially lowered heating bill. Although slim and sleek in their appearance, our aluminium bi-fold doors are able to offer an impressive degree of structural integrity that offers you the peace of mind that comes with modern security. They combine premium grade materials with high-security locking systems and professional installation to offer you a standard of home security that will keep modern burglars at bay, all without reducing the aesthetics that make the door such a popular option. To help keep security across the whole bi-fold frame, these doors are fitted with multi-point locks that engage at multiple points of the frame. This means that you’ll be able to avoid any weak spots that could potentially be used as a point of leverage to enter your home. Alongside this, the locks are integrated into the frame to prevent them from being easily accessed: a burglary trend that is used to compromise the performance of the look. All of our aluminium bi-fold doors can be fitted in a wide range of beautiful colours, spanning the full RAL spectrum. You can also choose from a selection of woodgrain foils that enable you to capture the look of timber without having to worry about any of the maintenance problems that can accompany the material. As our aluminium bi-fold doors are manufactured using premium grade materials, you won’t have to worry about extensive upkeep when it comes to ensuring they both look and perform at their very best. All you will need to do is give them a quick wipe down with a damp cloth, never having to worry about any rotting or warping when they get wet. As bi-fold doors are a multi-panelled design, they fold neatly away when they are opened. In turn, this means that 90% of the door aperture remains free, which, when combined with a low threshold, will give you a completely seamless connection to your home: also offering exceptional accessibility to wheelchair and pushchair users.